After reading the reviews, I decided to give these a try. I'd seen some in stores and they always seemed to be priced higher than I wanted to pay. I could NOT be more pleased with this item! 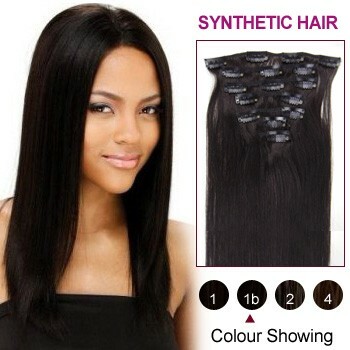 The color blended with my own perfectly - I have med-dark brown hair that I dye a warm medium brown. My sister -- who wears &#34;permanent&#34; extensions herself - had no idea that I had these in. We've talked about my getting them as my fine hair is thinning, but I don't feel the need to get permanent ones. I'm fine with just wearing these when I go out.My sister DID notice that my hair looked 'nicer' but she thought I'd just styled it better or something. So the effect was just what I wanted -- nothing drastic -- very natural. Since I only used one string that was cut into pieces, I can add more for a fuller effect. But using them as I did, just placing 2 pieces at the back of my head, and one on each side -- did just enough to &#34;fill&#34; those sparse areas that seem to be reluctant to grow as they did in the past.I can see how people with thicker hair may need more -- but for me, they were perfect. In fact, I got 2 &#34;strings&#34; of them -- several pieces linked together. I am only using one so far -- which I cut into individual pieces between the combs.One thing I learned by watching a celeb hairstylist is to press into the comb so that it curves, then back comb the hair near the scalp before attaching the comb. I also put them way high up on my head -- sometimes over the other side for added depth. Also, my hair is slightly shorter than these and I'd rather keep them the length they are than cut them -- in case my hair grows longer.I have slightly wavy hair -- and these are straight as can be. The curling iron proved to be less effective than soft rollers. I set them in the rollers for a day and spray them with surf spray (homemade salt water and gel) and the curl was really, really nice - and lasted for over a day.All in all -- VERY pleased with this hair. It is higher quality than I thought it would be -- which makes it a GREAT bargain. AND I got them way sooner than I'd thought, given that they came from so far away --and even just before the holidays! So I actually got them in time to use for Xmas!! My daughter wanted these for Christmas so I bought them for her and she absolutely loves them. When she has them in, no one can tell that they are extensions. She gets so many compliments on her hair. 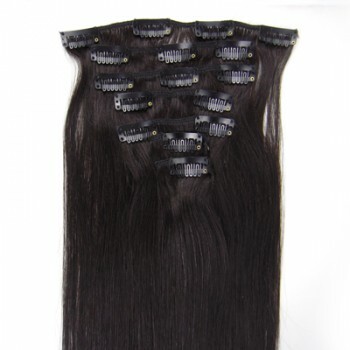 I will definitely order these again and refer them to others looking for extensions. They are not jet black, like a dark brown. Very thick and great for the cost. Great buy, I would do it again. Super fast delivery, lovely quality, as described, brilliant! OMG SUPER FAST SHIPPING!! I LOVE THE HAIR ITS REALLY SOFT &amp; PRETTY! 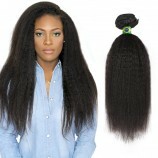 I love my hair and I will be shopping with them for my next purchase. I received my order really fast and I had more than enough hair. The delivery guy was also very friendly. I love love love it. I already have it installed now.